Buildings, gardens, fields, systems, processes and catchments can be optimized to replace lost groundwater, polluted water sources and drought concerns. 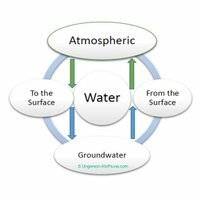 Atmospheric moisture is a precious resource. We develop ways to pull and pool water from the sky. We design better buildings, gardens, fields, systems, processes and catchments to optimize water supplies. These designs can mitigate lost groundwater, polluted water sources and drought concerns. AloPluvia™ began in 2015. While taking her MSc in in Sustainable Energy Development she found a disconnect between water and production, water and the economy and how we see value in different types of water. After completing the MSc and delivering the results of a Literature Review and Analysis of Rainwater Harvesting to Compile Best Practices for an Urban Integrated Water Cycle Management System at the City of Calgary to city council; she went on to expand the applications and feasibility of ‘whole water’. By integrating rainwater catchment practices, and embracing integrated water cycle management she saw a better way forward. Sandra subsequently wrote an upcoming book and developed her glossary of conflicting terminology. The glossary was put together in response to the apparent confusion over terminology related to stormwater, reused water, recycled water, rainwater, and many other such terms. It is her hope this document can be used to help professionals and others communicate better on the topic. Directing the love for nature, photography, gardening, sustainability and innovative construction techniques; Alo Pluvia™ teaches, researches and builds catchment systems, based on the latest Codes and Standards currently developed and under development in this budding industry.